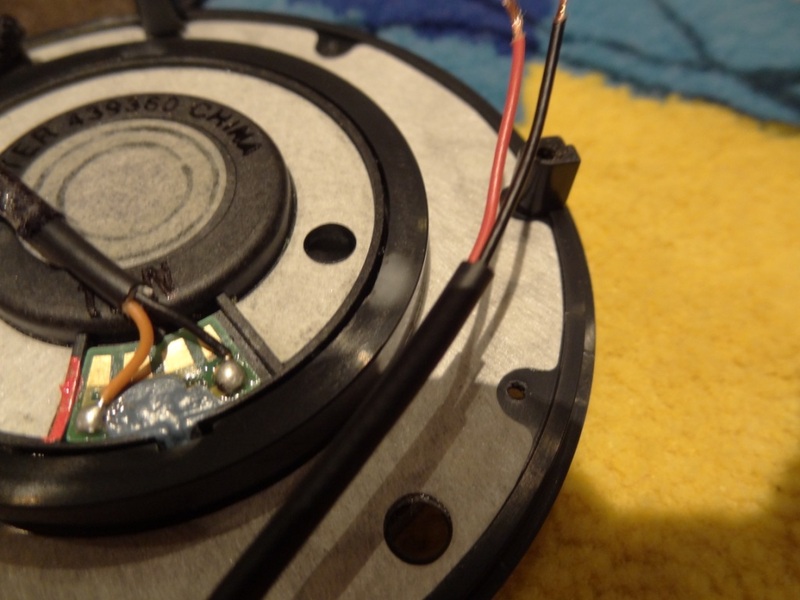 A guide on how to recable the Denon AH-D2000 – Without any soldering involved! 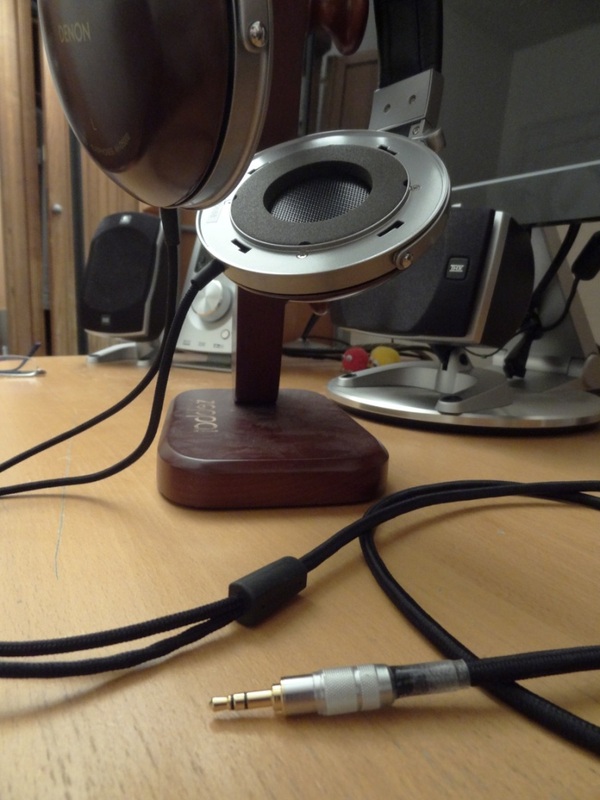 Some of you might know, some time ago I set out to mod my Denon AH-D2000’s (D2K’s), and I started modding them by changing the cups, and then not too long ago, changing the pads on them; With these upgrades came: better comfort (pads), and a different (better) sound with the wood cups. However, each time I would want to pick up my D2K’s I would feel a little annoyed at its huge, tangle-prone wires – It was just too long, got self-tangled, twisted, and I had to actually tie up the wire as it was too long to just have lying around, even at home, on my desk. -Last but certainly not least, my dear father who helped me with the process, without him I could have never done this, as I didn’t have the guts nor knowledge to do it! 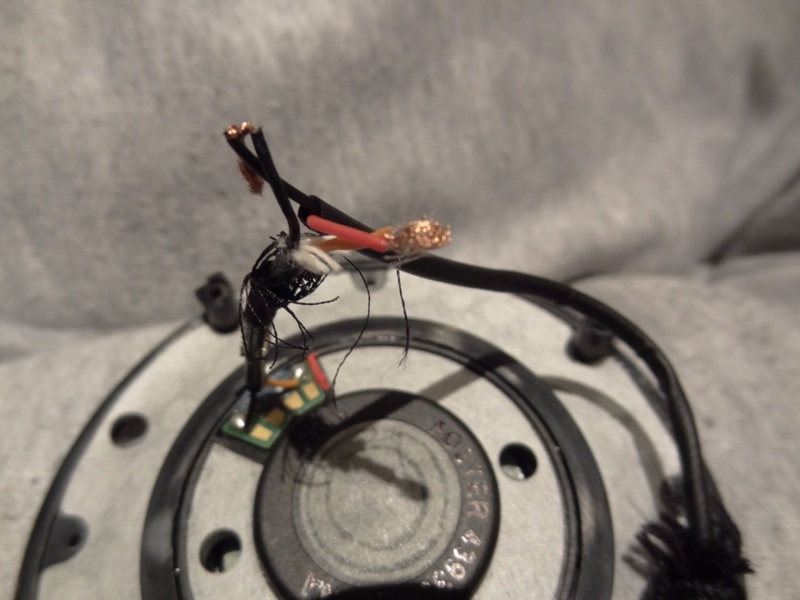 Resoldering, cutting the wires, will void your warranty – Unless you can re-solder the original cable exactly how it was provided, then you will no longer have a warranty with Denon. You should be aware, that given that the processes explained might be reversible, Denon would see the tampering of the solder/wire and thus could easily tell that it has been modified. -Finally some guts to do the process! Come back here and say you did it successfully and/or need help on a certain step! Enjoy your new recabled Denon’s! 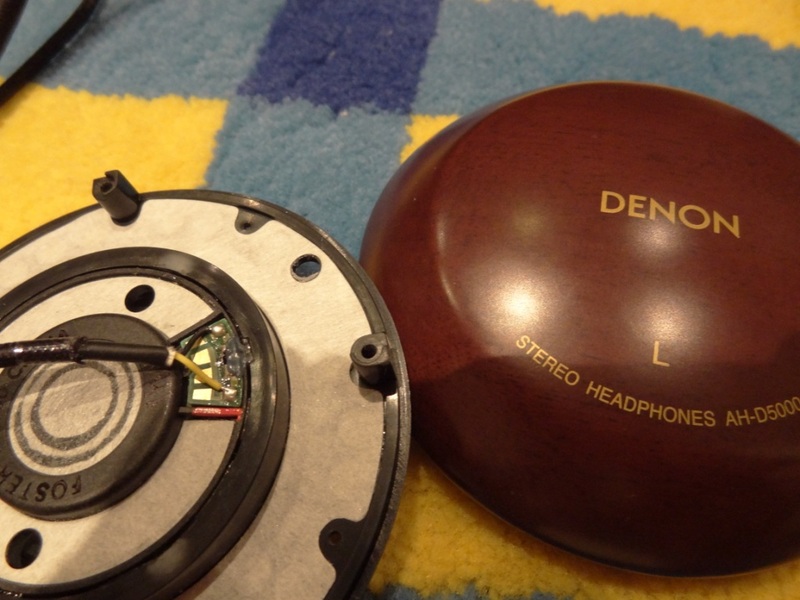 First and foremost, you should already know how to disassemble your Denon’s – however if you don’t, do not fret, I have a video on how to do that! 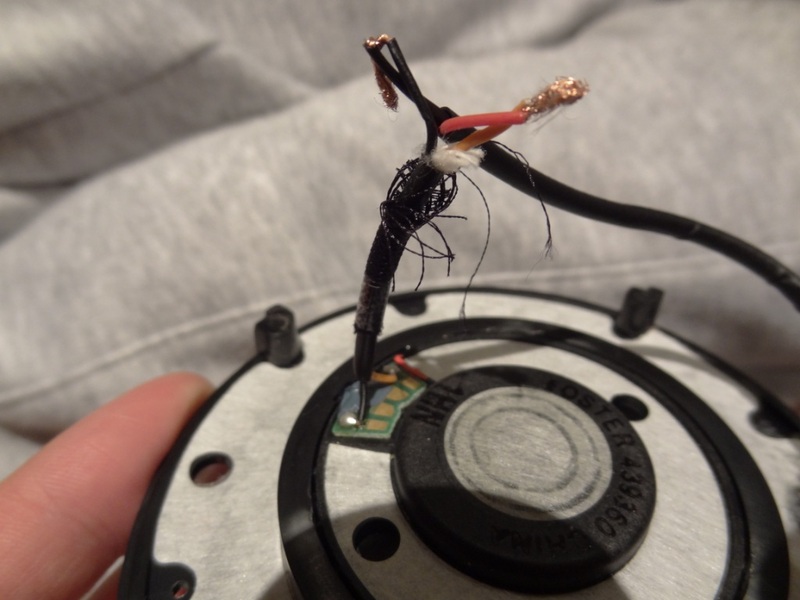 The soldering process is a daunting one, even for professionals – damaging an expensive set of headphones is something that no one wants to do. For me, being an un-experienced person, when it comes to soldering, it was a very daunting task – as the last thing I wanted is to damage my already awesome D2K’s, that I had already modded in other areas. 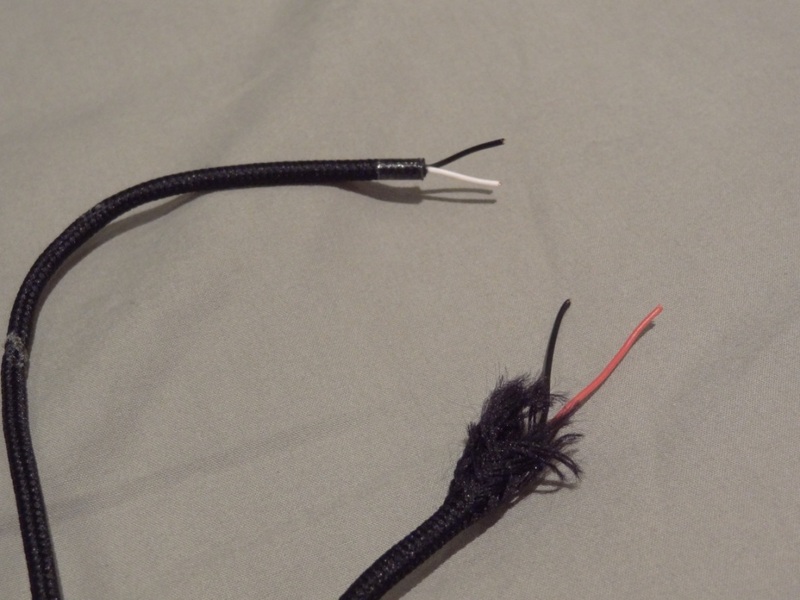 The main reason behind my recabling was mainly due to comfort, rather than anything else – I really couldn’t have cared-less about the audio “improvements” of the D7K cable could give me, over the stock D2K cable. 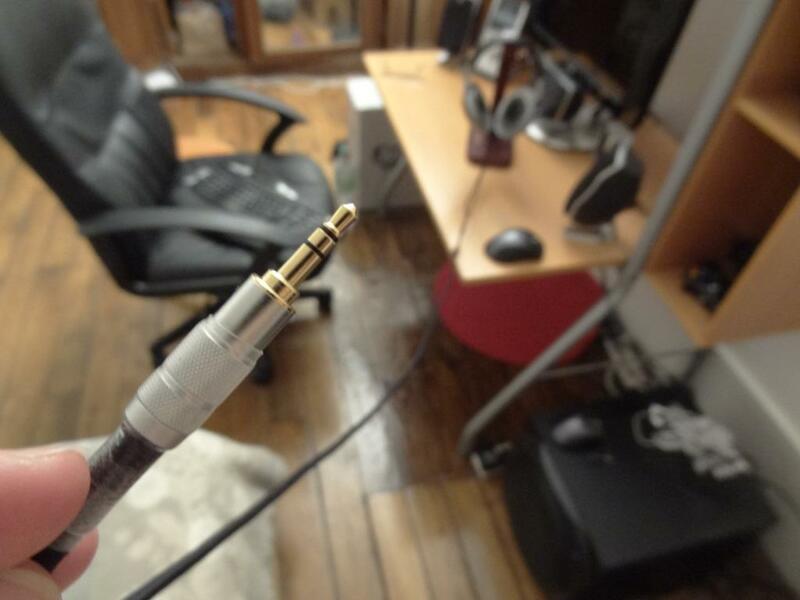 In all honesty, I have noticed next-to-no improvement or worsened audio quality with the wire change – of course if I had a custom copper cable for example, it would output a slightly different audio output (and that’s coming from someone who never believed in audio cables) – but my cable, was just a stock D7K cable. 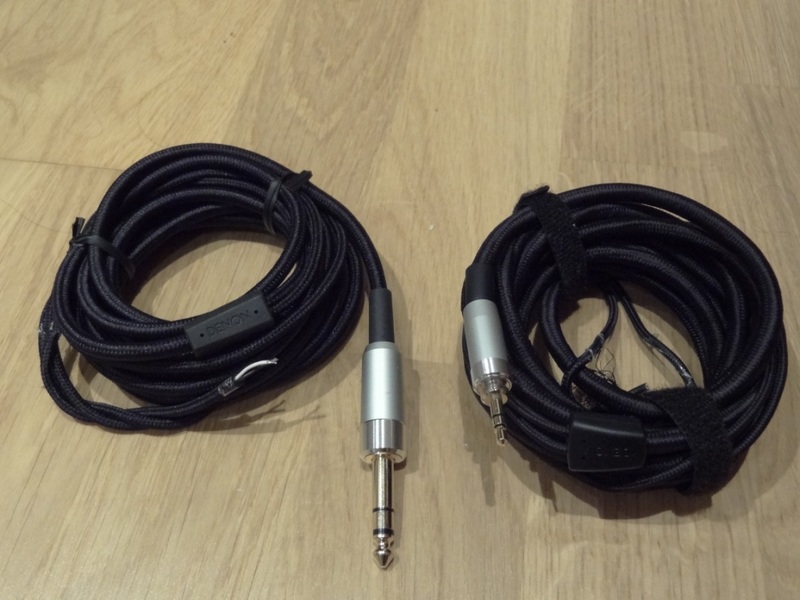 I got my cable custom made – My request for the cable was a D7K wire, that was shortened to 1.5m (from 3m) and re-terminated with a 3.5mm jack rather than the 1/4″ jack (as I don’t have anything that has that output jack). When I got the cable in, I immediately felt a difference in the quality of the wire. Whereas the D2K stock cable were heavy, tangle-prone and would give kinks in the wire whilst it was twisted or turned, the D7K cable, had none of these problems, and was in fact remarkably amazing to grasp in my hands. 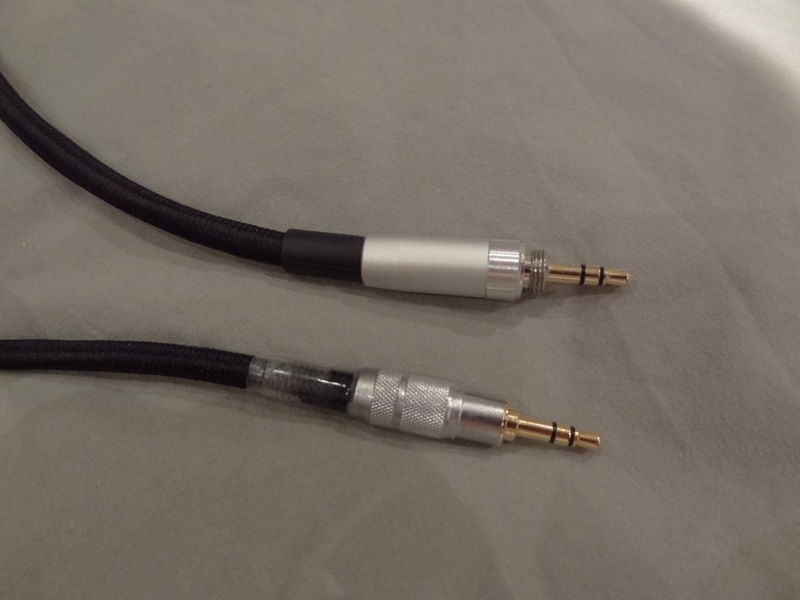 I just couldn’t believe how a cable that is in looks, very similar to the D2K cable, could be so much better. Of course the shortened wire was more convenient too, as I could straight away tell that this wire would be at a perfect length for the things I use my D2K for. I should also comment on the re-termination performed by the custom cable company, is simply perfect. The jack is well protected, very professionally done, and the actual gold plated part of the jack (the actual part that goes into your source) was long and small enough to fit without any problems on my Samsung Galaxy S i9000 with a silicone case on. Meaning, I could use this with anything, rather than before, where the D2K’s jack was huge (not to mention the extremely huge D7K jack). 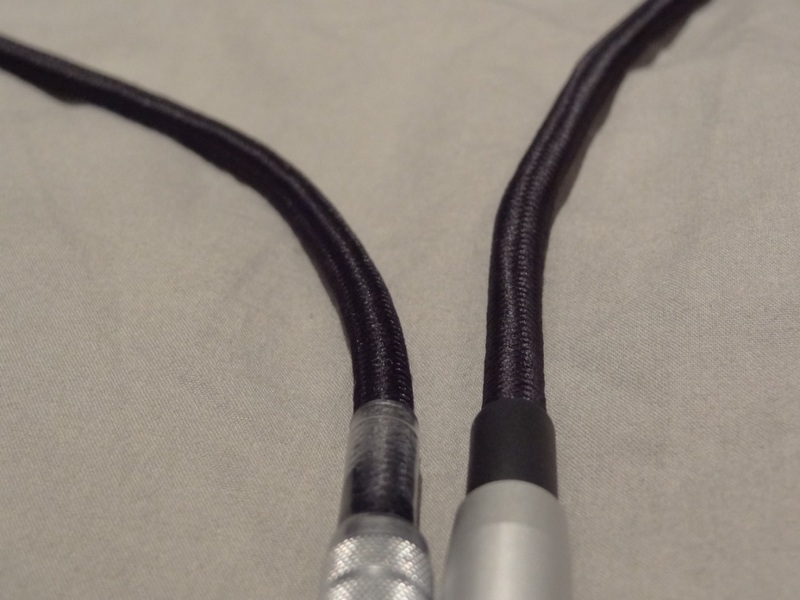 Overall, my first impressions of my new shortened, re-terminated D7K cable were very positive. I was advised several things, all of them being pretty similar to each other. Here is a document, which you can download, the doc file linked is the advice & input given by the various people (they were either exchanges via PMs or emails), and again, my thanks goes out to each and every single one of them for helping me out and trying to provide their wealth of knowledge! 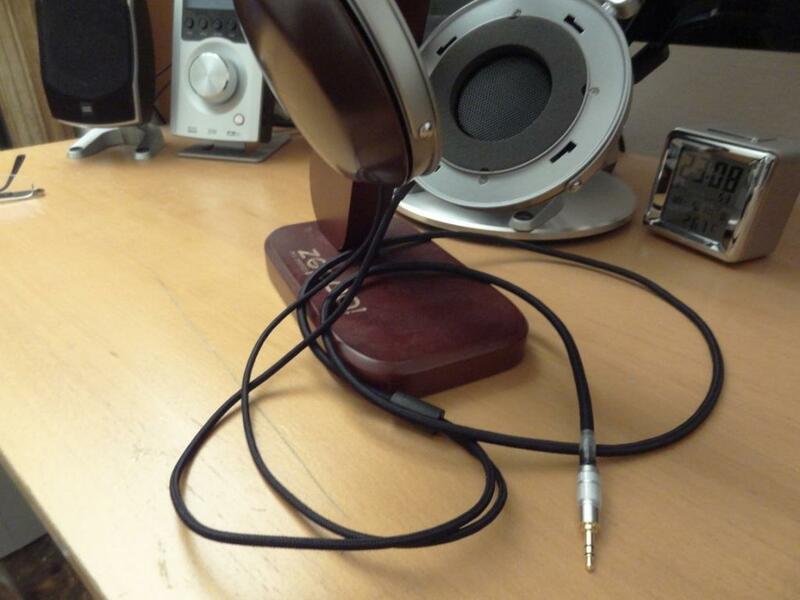 They all involved soldering and all the advice was given via soldering the Denon’s into place. As you can see from the document, I was advised to use a multimeter, which basically tests if there is a current that is present when you touch positive and negative, on their respective contacts. 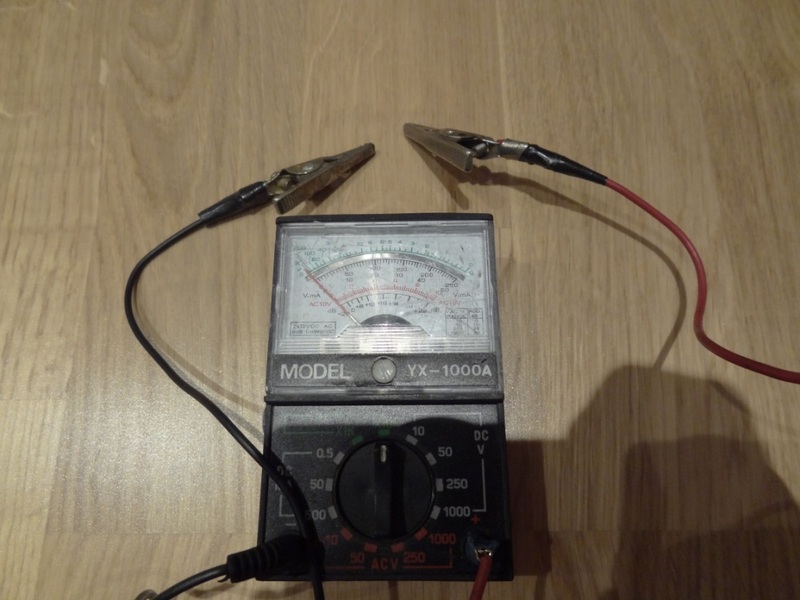 When my dad and I put the multimeter on the Denon’s we got small readings, making the dial to move a little, although the results were never constant, nor were they consistent, so it wasn’t all too convincing. To test the cable, I was also told to do the same thing, to know which was positive and negative. It was pretty clear that black was negative, always, and the other colours, be it white, yellow, orange, or red, were the positive side of either the wires. That said we tried checking it. We put the contacts of the custom D7K wire, on the driver, whilst the D2K cable was still in tact and still soldered, to test if the D7K would pick up anything sound wise. What we were testing here was trying to see if the cable picked up the sound that was playing via my source. Which meant we had the D2K cable still soldered, as it was originally made, and we had the D7K’s wire contacts on the D2K’s wire which were soldered on the driver. The D7K wire was plugged into my phone, playing a constant loop of music. We got a very slight reading on the left driver, but apart from that we got nothing worth mentioning. After realising this, my dad looked at me, and came up with an ingenious, yet very simple method of doing the recabling of the headphones. It was so easy, yet never had I thought about it, or let alone even read or been recommended it by anyone!! It was simple: Cut the D2K cable near the driver (thus not de-soldering and re-soldering anything) and then attaching the new D7K cable by twisting them together and protecting them with some electrical tape. Of course this wasn’t the best method, and as some people suggested “you should solder it, to get a better signal”, but as we didn’t have any experience recabling headphones (although my dad is a mechanic and has done countless amounts of wire work), the solution was to cut the wires and attach them together. Now you might ask yourself, why do this? Why not just solder it? Well, soldering involves tampering with the driver itself, meaning you run the risk to actually burn/damage your driver. A nice way to lose £200/400/800 worth of equipment. Also, if for some reason your cable soldering was wrong (i.e. wrong contacts) or the cable was faulty in the first place, then you spent some time, and risked your headphones trying to solder something that doesn’t actually work. The method we used, acted as a safety net. As if the cable didn’t work, then there would be absolutely no problem in either re-attaching the original D2K cable to its cut-other-half, via tape, or even soldering the new D7K cable into place. Even though that’s what we are ultimately aiming for, the possibility of damaging the headphone’s driver is the last thing I wanted to do (i.e. incorrectly soldering them). With this method, my dad gave us a huge safety net – a safety net that was insuring that nothing could go wrong, and even if it did, then we could reverse it, with no damage to the driver. That said, the only thing that would be lost, would be the warranty, which would now be void, but seeing as you wanted to recable the Denon’s already, you would know the implications of recabling the headphones beforehand. If you were good enough, you could potentially trick Denon, when sending them in for a warranty replacement/repair, in thinking it was never re-soldered, by putting back the original cable, and making the solder look like it was out from the factory, but you would really have to be a experienced in this domain. 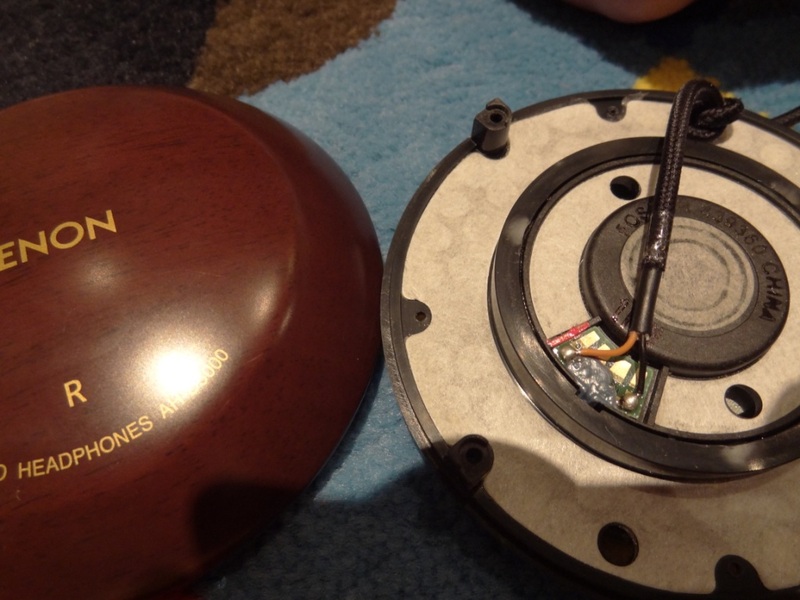 Nothing my dad or I could do, put it that way and more so, I have doubt if anyone could actually make it seems like nothing was touched, as if you change something, I’m sure no matter how good you are, the engineers at Denon, could post a modded/tampered headphone from a mile out. Quite simply brilliant, I couldn’t agree more. Why risk it, when you can “safely do it”? I can almost bet from an audiophile point of view, they would say that soldering isn’t the same and doesn’t render the same results as attaching the wire etc…but in all honesty, people that say that are over-exaggerating – It’s not like I’m going to send this in to the physics department, and them to test the sound waves or heat generated from the wire being soldered vs the wire being attached together via tape. That said, at some point I would like to solder the Denon’s in place by a professional, but for the time being, I’m very much happy with what I got and have achieved. 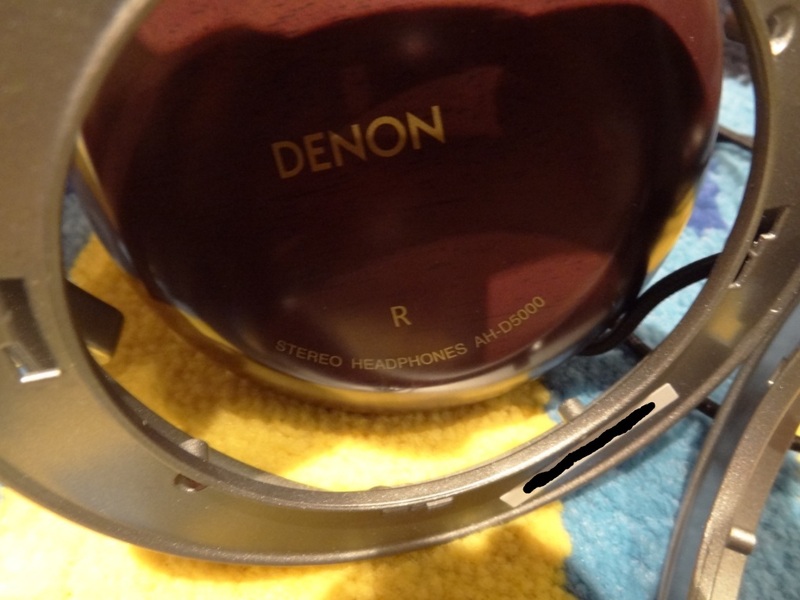 All the modded work I have done on the Denon’s, I have personally done – and thus feel a great sense of accomplishment. 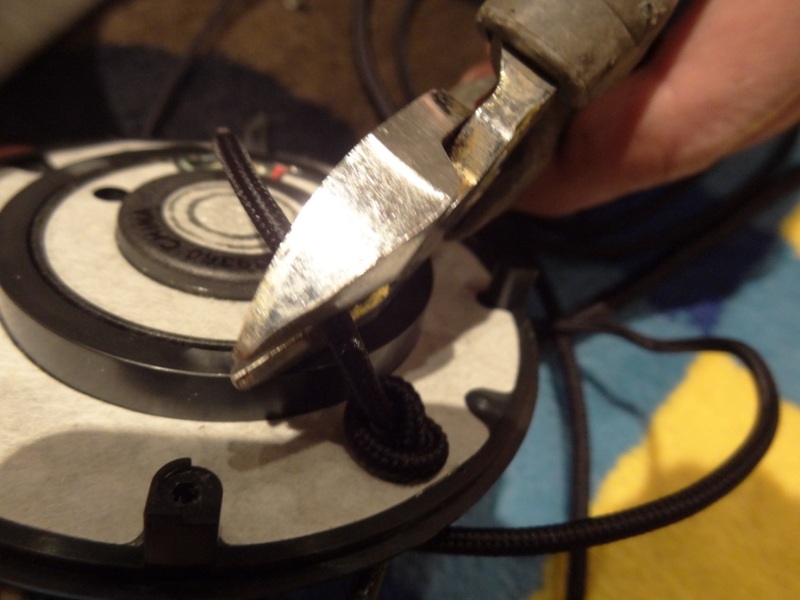 -When cutting the cable, try to give yourself a little extra bit of cable to work with (on the driver end) so that you can attached the new cable with them, with ease. Another quite important factor is the LENGTH of the cable used. 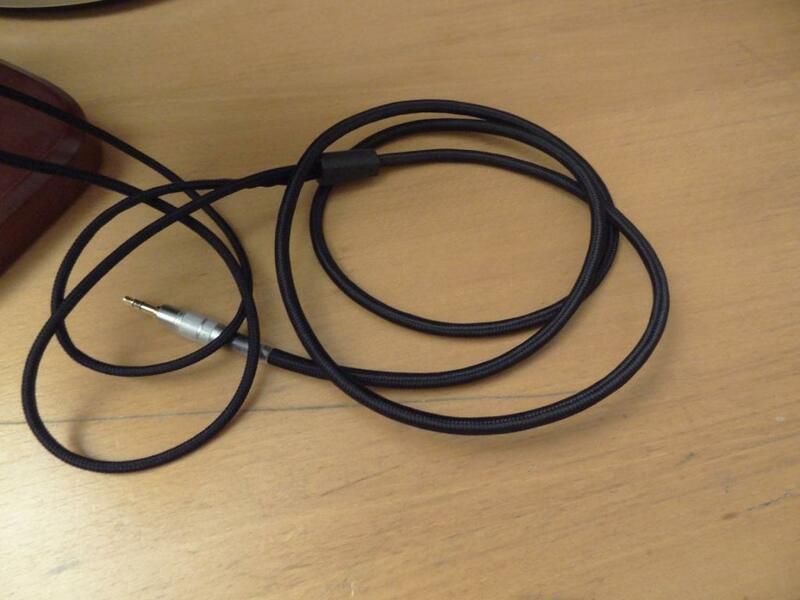 When cutting the wire, you can’t be sure how much you will need to attach the 2 cables together. 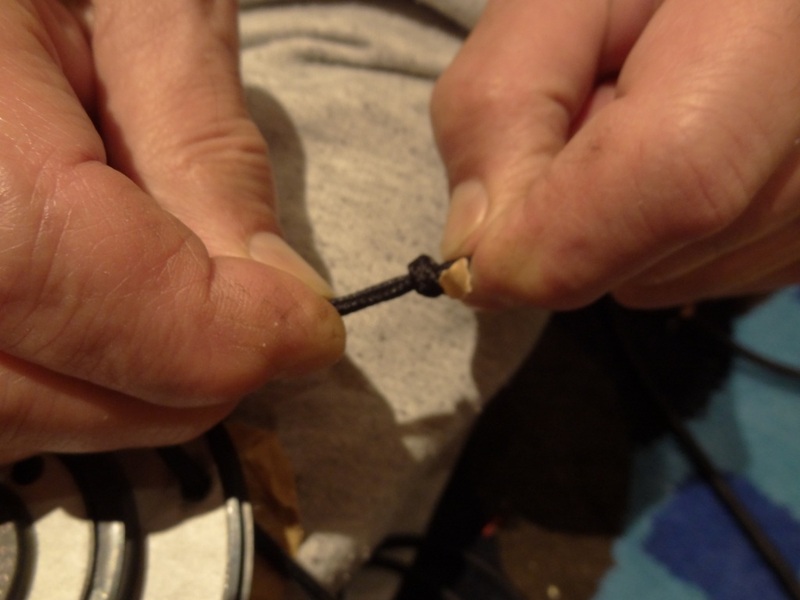 Thus after un-knotting the old D2K cable, when it had been cut, we needed to insure the D7K cables were evenly placed. Maybe it’s a little hard understanding what I’m trying to say here, but basically, from the Denon splitter on the wire, going up to the headphones, that wire that usually is where your neck is, which separates the left and right driver, had to be at an even length, or else the wire would be lob-sided. So after cutting the wire on the D2K, we made sure to have the same length on the left and right hand side driver. The best way to do this, is to extend the wire and tug it – here you would adjust the new knot you put in place for your D7K wire. 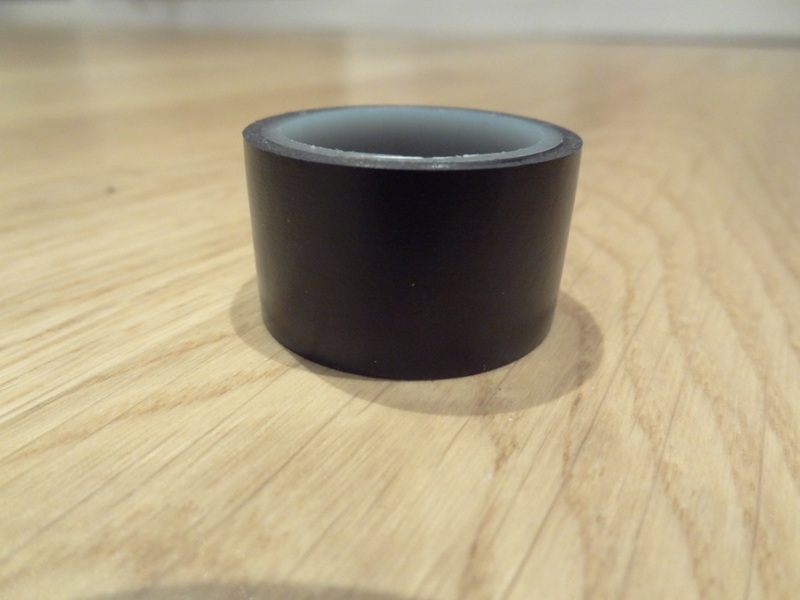 Thus if it was too long or short on either side, you would adjust the knot inside the cup housing. This is all done before attaching, or as a matter of fact soldering, the cables; as you would want to be sure you got the same length on either side. This was something else that my dad pointed out, that was again, never mentioned or something I hadn’t read anywhere else. Such an important factor in the whole process, as it is vital to have the splitter going straight down from your head, rather than lob-sided to the left or right, because you cut and/or knotted it in the wrong place. A major thing that wasn’t also apparent to us was which side was left, and which side was right – last thing you’de want is putting the wires in place, and then finding out the right side is playing on your left ear! There was a little guess work involved here, which as you can see isn’t professional at all on our part (and another reason why we didn’t solder the cable), but in the end we attached the RED cable end of the new D7K wire, with the ORANGE side of the RIGHT driver, and the black and black wires together. After doing so, I did tell my dad, “let me test at least, before we attached the other wire”. At the end of the day, it didn’t really matter for us if we got it wrong, as we could EASILY reverse the wires, whereas, again if we had soldered them together, it would be taking on another risk, of damaging the headphone’s drivers. Here is the sticker I’m talking about, and just to be on the safe side, I put a black line across the sticker (which I think is the serial number) of the headphones. Not like it matters really, but rather be safe than sorry. So, we very simply hooked up the D7k wire (remember only one side was actually put together with the D2K driver/wire), and on poweramp, a music player on android, I switched the R/L knob to RIGHT – meaning I should hear the music louder on the right side, than what would be playing on the left side. When playing with this knob, it was evident that we had guessed correctly, and the right driver was assigned with the red cable, and NOT the white cable, that was used for the left side. After testing, we went ahead and did the same thing with the LEFT driver, attaching the D7K’s WHITE cable with the D2K’s YELLOW cable, and again putting black on black cables together. After attaching them together, we put the electrical tape carefully remembering that the two sides shouldn’t touch, and again before just before assembling the headphones, testing to see if either driver was not picking up the signal and if we had got the left and right side correct. 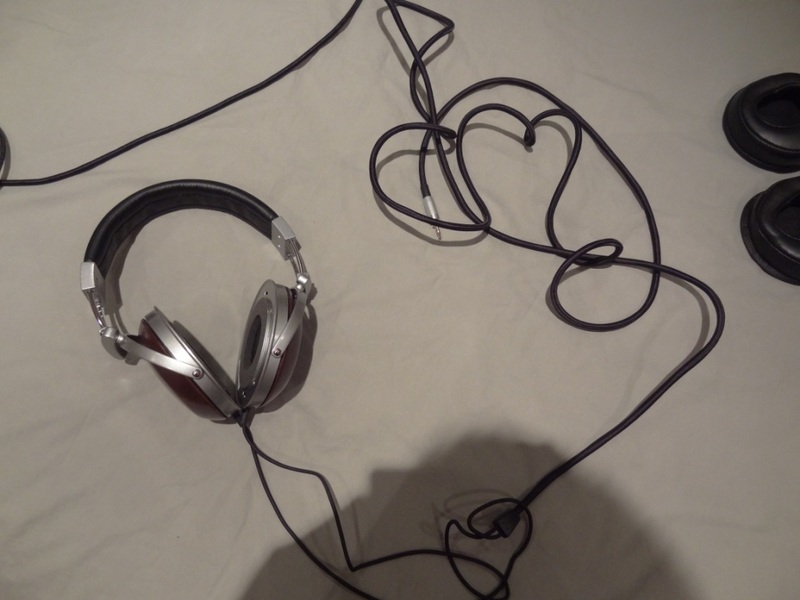 All checked out, and I reassembled the headphones. In the end I’m thoroughly enjoying my recabled Denon’s and definitely couldn’t have done it without people’s advice, but more so, couldn’t have done it without my dad! The cable is much better, doesn’t tangle, can be twisted and turned as many times as I want, and more so goes into my pocket, and doesn’t feel like I’m carrying a SLR camera in my pocket…! 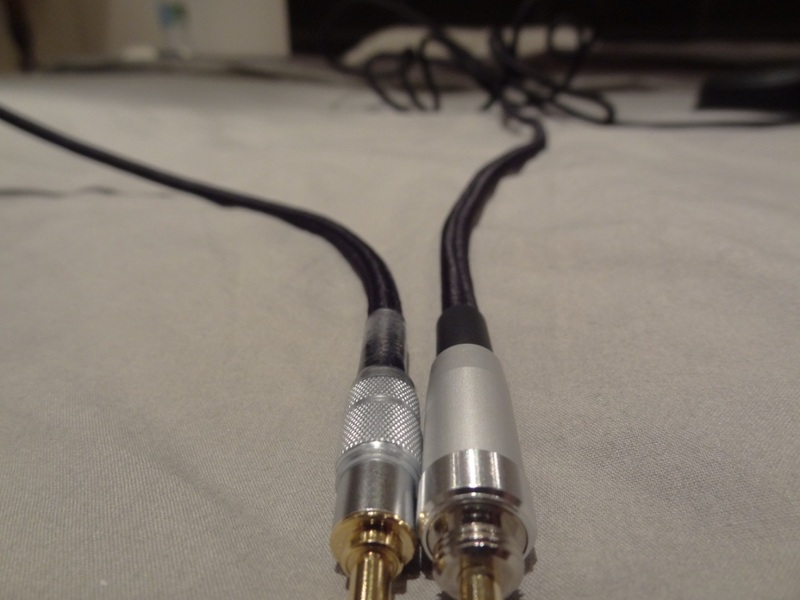 Why did Denon make such a long cable, and more so such an annoying (D2K) cable, is beyond me. This was one of my major complaints in my review of the Denon AH-D2000, especially seeing as this headphone is supposed to compete, in HMV, with the Beats Pro’s, and before you think of mentioning it, the Denon’s absolutely destroy the Beats pros in every single aspect. I’m just saying Denon advertises them to the general public (almost) and yet fails to understand that this cable might be a major deterrent to people buying it – there will always be people that want the longer cable, for watching TV at a distance and what not, but I have never had a cable that extends from my PC to the other side of my room…Bear in mind I was and am using the Denon’s SOLELY at home, at my desk, and I still found the cable too long for my liking. These poor sods haven’t seen the outside world yet, although now I will be more tempted to take them out with their shortened cable! Please feel free to drop me a comment below. I know it’s a very daunting task, especially for someone in the same position/lack experience as myself, so don’t be shy! Just an update on the Denon’s they are going strong and still working perfectly. For those that want that permanent solution, by soldering and recabling the Denon’s, Vegar (who posted on here too) made a nice and comprehensible recabling guide. It can be found on his blog! Please do remember the dangers of soldering though. This entry was posted in Audio Reviews and tagged AH-D2000, AH-D5000, AH-D7000, D2K, D5K, D7K, Denon, guide, recable, soldering on June 3, 2012 by TotallydubbedHD. Did you find any particular mod helped focus the bass a little? Thanks for the comment. As for the bass, i found changing the cups, to wooden ones, made the bass tighter and much more prominent. Also my cups are dampened too. So possibly the Mark L mod might be of interest to you too. do you listen to flac files or just mp3? i found that flac files along with a 31 eq really changed the way these cans sound. If your not listening to flac files you should not have got these cans. 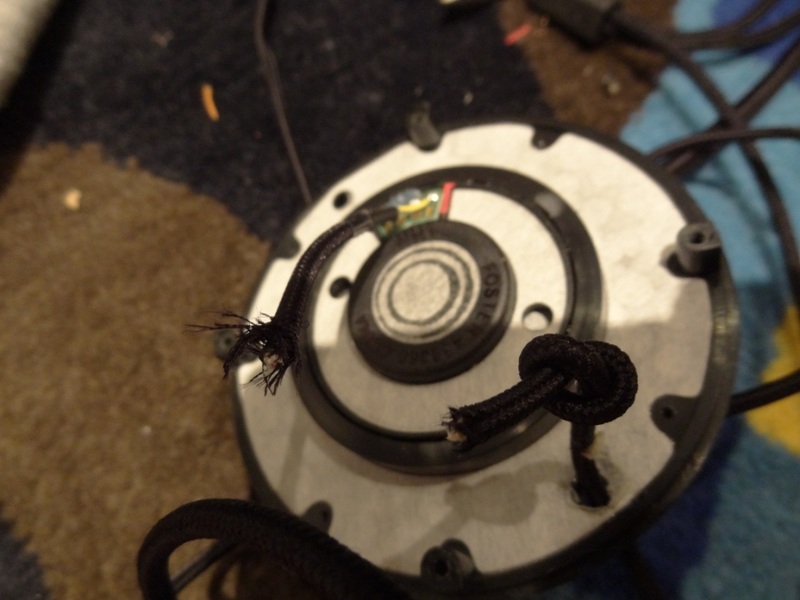 I live in Australia and am trying fix a broken 3.5mm headjack on my Denon D2K’s. It suffered from blow against a table and hasn’t been the same since. 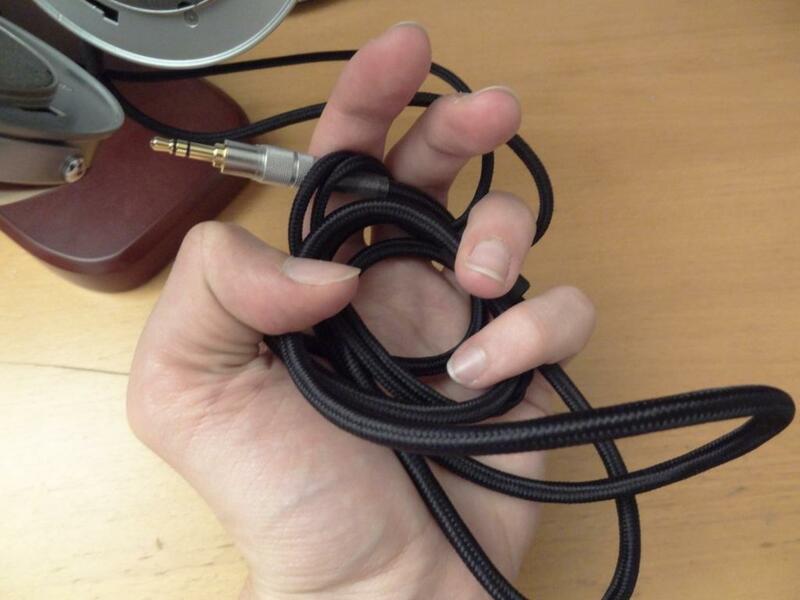 I know the cable itself is perfectly fine it’s just the 3.5 mm jack. And then using the rest of the existing cable (a little less than 1.5m) as an extension cable by attaching a female and male to that length for in house use where I need more cable. What jacks do you recommend I use? Which ones are used here? Online stores would be fantastic as I can’t foresee many local stores having the brands you suggest. I’m fairly proficient with soldering and really want to do this with a HIGH quality jack that will allow a not too difficult soldering job and can house the stock D2K thickness snugly. I’d say my budget for the headjacks (2 male and 1 female) is about $150ish, give or take a bit. Do you have any advice on this to give and share? Please do so if you have done something similar to this. I fear my location is something more than just a small hinderence in having someone professional do the job. Well i wouldn’t be the best to ask about jacks. I can see what you are trying to do, as it is possible, especially if you have the skills. I would suggest asking professionals, unlike me, about good 3.5mm jacks. I know neutrick or valve, something around those lines, are the cream of the crop. I would suggest them. I think the price is around $25 per head. Hope that helps, and the very best of luck to you! I’ve found a few Neutrick on eBay with various enlarged holes. Reading your recabling story gives me confidence that my skills will be enough to reterminate my cables. As you’ve been in the guts of the D2K cups, i wanted to ask – what colour corresponds with which side? Is the yellow left and the orange right? or the other way around? I found black, in both cases, to be the negative connection. I would still check in your set to be sure it’s the same. Thanks so much man. I checked and you and your pictures were right. I’ve reterminated the stock cable for now as until my new Mogami comes. Hi, can i ask how much you payed for the wooden cups mate, only im bidding on a pair and theyre up to £100 already! 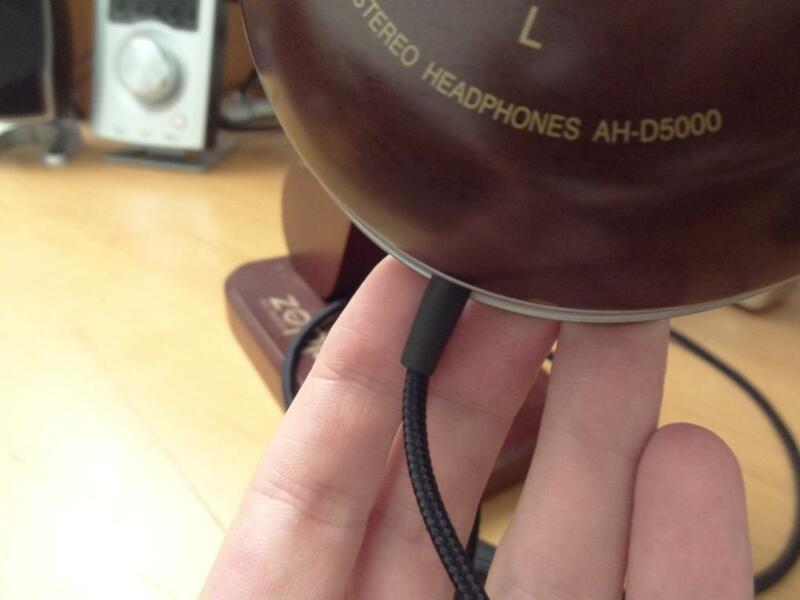 By the way, the headfi ban was totally ridiculous. £100 is too much mate. I paid £40 for them. However they can be bought literally new from Lawton Audio for around £60. Actually it was Lawton audio who put them up for auction. They are factory glossy 7000 models. Im mainly interested in the acoustic properties. Not an audiophile or anything but i just love the sound of the Denons and wonder why people pay so much more for the higher spec discontinued models. I dont like the new range. Looks like they arre jumping on the “beats ” band wagon. By the way, check out the new noise canceling logitech ue 6000 portables. read good things about them and loved the triple fi 10s. Oh ok! Maybe Lawton have increased their prices! As for Logitech – i can’t comment on them to be honest. Hi, if i want use solder to recable my D2000 ? How i proceed ? What type of solder i can use ? 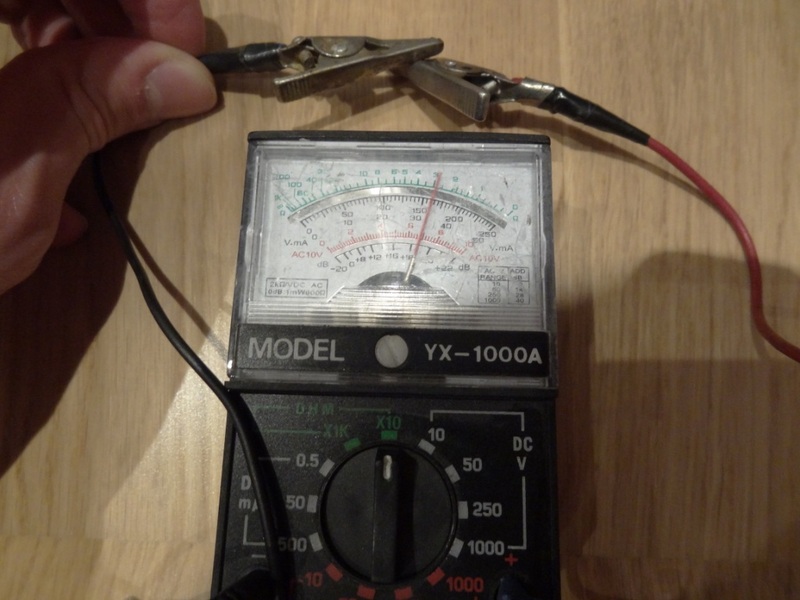 Not sure – I’m sure you can find another guide for soldering online. You just have to be extremely careful with that driver. Hey and thanks for a great article. It’s also neat that you answer all replies! So… I’m also tired of the D2k cable but I’m not ready to pay big money for a D7k cable so I’ve come up with a new plan; here goes. Ok I see what you are trying to do – but isn’t that RCA part wire too short to use as a cable for the D2K’s? Other than that it sounds great, but make sure you know what you are soldering (I can’t help here) with the wires and jacks. If I were you I would have bought a stranded cable with no termination on the end, made the termination, then attached it all to the D2K’s.